Two copies needed for performance. 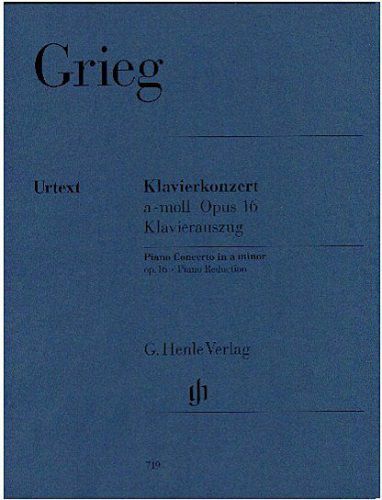 Grieg's celebrated Piano Concerto turns out to be an editor's nightmare. Even during the composer's lifetime the work was so famous that it had to be reprinted over and over again, each time with revisions from the composer. A detailed preface throws light into the mare's nest of the sources. Einar Steen-Nökleberg, equally well-known for his complete recording of Grieg's piano music, has judiciously revised the piano reduction to make it more playable.